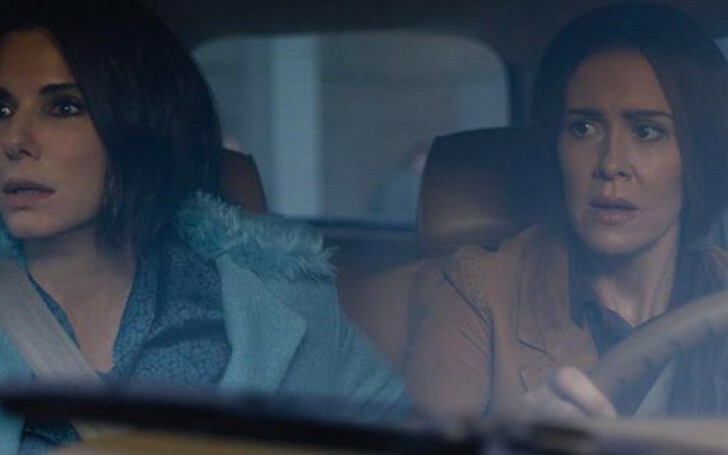 Bird Box star Sarah Paulson shockingly revealed she is yet to see the Netflix horror movie. While appearing on the Last night show with Stephen Colbert on Thursday night to promote M. Night Shyamalan’s Glass, the actress revealed she is yet to watch the wildly popular Netflix movie. During the conversation with Colbert, the actress opened up about her queer habit of not watching any of her works which left the host quite perplexed. "I haven't seen it. I'm like the one person on the planet who hasn't seen the movie. As for why! ?, it's quite simple. "I don't watch anything I do ever. Not since People v. O.J." In disbelief, the host wondered if it included the award-winning Tom Hanks drama, The Post. "I did not see me in The Post," she confirmed. The award-winning actress briefly appeared in the movie released on the streaming service last month as Jessica - Sandra Bullock's ill-fated sister who commits suicide on their way home from a checkup appointment. Bird Box is a post-apocalyptic sci-fi thriller that centers on a group of survivors struggling to live after unseen forces cause mass suicides around the world. Sandra Bullock stars as the film's protagonist, Malorie, a woman struggling to raise two children (Boy and Girl) during the apocalypse. The Tour Life Seems To Be Wearing on Noah and He Misses His Dog in the Video for "Mess"